Platform Coops – Start your own! You are here: SUPERMARKT > Events > Platform Coops – Start your own! Saturday, Dec 10th at AGORA, Mittelweg 50, 12053 Berlin – 9.30-6pm, followed by dinner at AGORA. plus special event: “URLab #2 – Platform City” – Workshop, organized by Tesserae Urban Social Research group, Saturday, December 10 at SUPERMARKT and local surroundings! As “Death Star platforms” like Airbnb and Uber increasingly dominate the markets with a cheap-labor business model and traditional corporate structures, more and more communities start to build their own, democratically controlled platform coops – with the aim of creating value for everyone involved. Platform cooperatives share democratic ownership and governance among the people who rely on them, especially those who contribute their labor and personal data. Platform coops are based on cooperative business structures, very often decentralized modes of organization, democratic control and real-world services or products. Today, an increasing number of platforms are emerging worldwide. Freelancers, artists, farmers, drivers, caretakers – more and more people from various backgrounds start to unite in order to create value and share what they create. This movement is no longer a niche – it starts to reach out to all sectors of traditional economy, care or education. This event aims at gathering key players of the platform cooperativism movement to explore shared values, common goals and a joint political agenda. Over the course of two days, participants get introduced into cooperative structures – from learning how to start off and run cooperative businesses to exploring visionary ideas about platform coop design and its impact on politics, markets and society at large. This #platformcoop-event is all about shared ownership, democratic control and self-organization, with an extra focus on blockchain technologies to enable bootstrapping of decentralized organizations. Join us for one or both days! Panel discussions, hands-on workshops, platform design toolkits, a deep-dive into neighbourhood economies, the festive launch of a community currency and lots of other interesting topics are waiting for you! REGISTRATION: Please send us a mail to rsvp@supermarkt-berlin.net and tell us a bit about yourself and why this event is of interest to you. Thanks! LANGUAGE: Both the local and the international perspective is important for the platform coop movement. We therefore strive at being as inclusive as possible when it comes to languages. Some of our sessions are in German only, most are in English. The program below clearly flags the language of each session. Regardless of the language of presentation, we welcome feedback, questions and comments in any language and try our best to support with translations. 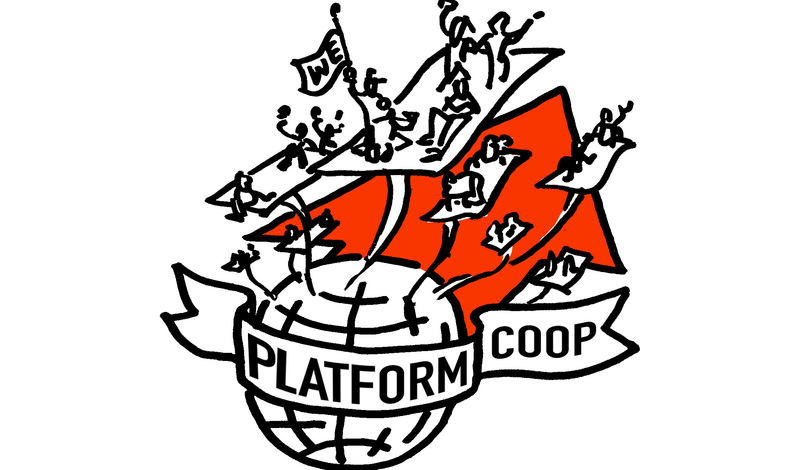 PROGRAMM DAY 1: HOW PLATFORM COOPS WORK / at SUPERMARKT Berlin, 9.12. 09.00 Check in. Get a coffee. Meet the people. Freelancer-Kooperativen, gemeinsame Finanzplattformen und eine faire Alternative zu Online-Marktplätzen stellen sich vor, teilen ihre Erfahrungen, Bedürfnisse und Pläne. Teilnehmer_innen können Fragen stellen und Feedback geben. Moderation: Jana Stecher (CZY WRK), Statements by: Felix Weth (Fairmondo), Magdalena Ziomek (SMART), Simon Liedtke (WeChange), Christophe Guené (Kreditunion Coop) und Katja Wegner (Wigwam). Networks, individuals and organizations talk about why they are not (yet) planning to adopt a coop structure, what keeps them from becoming a coop and which other organizational forms might work for them. Moderation: Daniel Corral (Coliga), Statements by: Juho Makkonen (Sharetribe), Yael Sherill (B-Tour), Philipp Hentschel (welance), Sito Veracruz (Fairbnb), Damiano Avellino (Solbnb), Arthur Röing Baer (commune). This session introduces people, structures and resources that might be of help and interest for everyone who is pursuing a community-owned enterprise. Moderation: Ela Kagel (SUPERMARKT), Statements by: Louisa Janitschke (FAIRO), Christian Hildebrand (Jolocom), Adrien Labaeye (Transition Lab), Dr. Nadine Müller (Verdi), Boris Janek (Akademie Deutscher Genossenschaften ADG), Victor Matekole, (Crowdfunding system for platform coops & Resonate Music Streaming Coop) Juho Makkonen (Sharetribe). Compilation & clustering of the needs already mentioned. Additional contributions from the crowds to further elaborate the item list into recommendations for action or demands. Chaired by Thomas Dönnebrink & Ela Kagel. 18:00 Networking and drinks at the café right next door. PROGRAMM DAY 2: PLATFORM COOP DESIGN / at AGORA Berlin, 10.12. Death Star platforms vs locally governed, decentralized nodes that share infrastructures. How can we build better structures for collaboration and co-production between platforms? What do we need to interoperate and grow stronger together? Moderation: Ela Kagel (SUPERMARKT Berlin), Speakers: Daniel Corral (Coliga), Dominika Wruk (Institut für Mittelstandsforschung), Juho Makkonen (Sharetribe), Magdalena Ziomek (SMART), Christian Hildebrand (Jolocom). How can we scale the platform coop concept to the micro levels of economy? How can local economies benefit from platform coops and what kind of infrastructures do they need? Moderation: Thomas Dönnebrink (OuiShare), Speakers: Laura Colini & Lorenzo Tripodi (Tesserae Urban Social Research), Joy Lohmann (Open Island), Gabriela Masfarré Pintó & Georgina Campins (Ideas for Change), Volker Siems, (neighbourhood network Polly & Bob). 14.00 Start of worksession 1: “From Business Modelling to Platform Design” (E), by Eugenio Battaglia, Platform Design Toolkit): Eugenio will open the session with a 30-minutes introduction into the concept of platform design, which will be followed straight by the platform design workshop. 14.00 Start of parallel worksession 2: “Modell für eine wordpressbasierte, flexible, und open source-basierte Coop-Plattform” von Joy Lohmann (Open Island) (In German). 14.00 Start of URLab #2 – Platform City – workshop, organized by Tesserae Urban Social Research group, PLEASE NOTE: this workshop takes place at SUPERMARKT (in English). Compilation of needs, ideas, and concrete steps towards building a platform coop-ecosystem in the region. 18:00 Dinner – let’s cook together, bring food or donate! We’ll celebrate the results of the last two days. Produced by SUPERMARKT Berlin, in cooperation with Streampark Gmbh & Co. KG , AGORA, Tesserae Urban Social Research .